You know it's going to be a good time at the card shop when you bring along your son, younger brother and best friend to spend the day with you. Christopher (my son), Andy (my younger brother) and of course Max (best friend and star of: http://maxscards.blogspot.com/) all accompanied me to the shop for my Saturday of work. While selling Yu Gi Oh and what not to the kids, Max and I spent some time straightening the shop up and pricing out vintage cards. 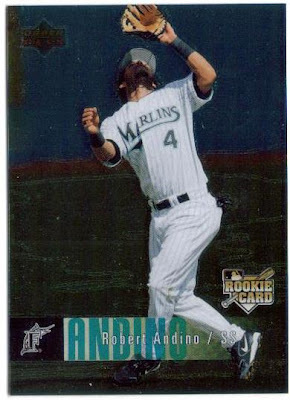 During this process, Max found these cards: The Orioles backup shortstop Robert Andino. He has really been clutch lately and has filled in admirably for Cesar Izturis while he has been out with appendicitis. 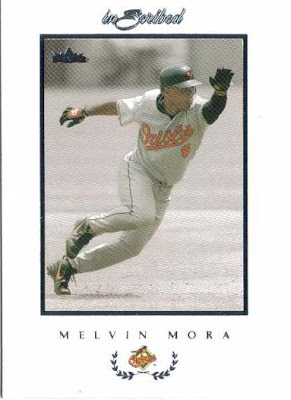 The longest tenured current Oriole, Melvin Mora. 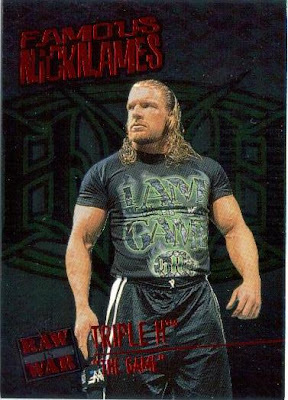 While I sometimes question his work ethic, you can't deny that this is a sharp looking card. It looks like he is speed skating... Awesome. 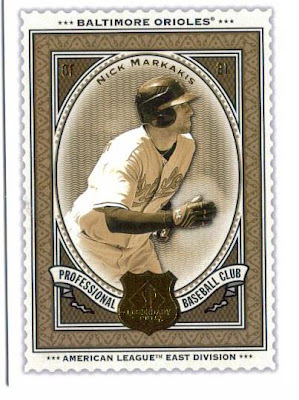 I was really happy to discover this card of Nick THE STICK Markakis. 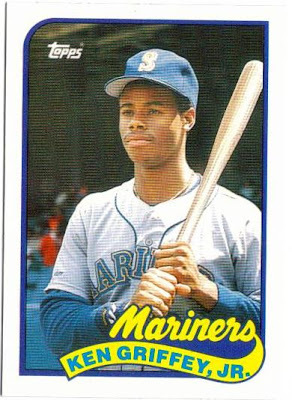 I enjoy the spectrum cards. 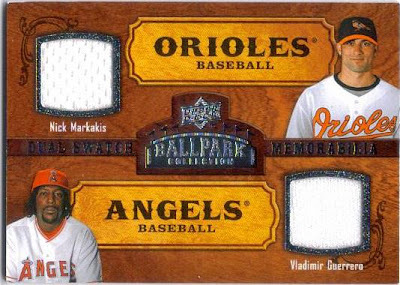 I don't have nearly as many Markakis cards as I do of Brian Roberts (can't even compare any of them to my massive Ripken collection though) but I am getting more and more. 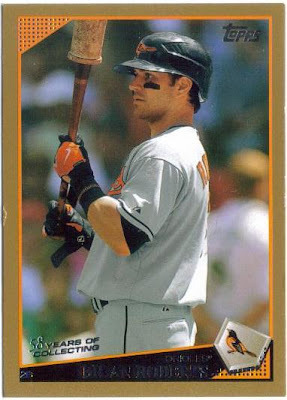 Speaking of my Ripken collection, I am able to add this because I bought a few cards from this guy Jeremy who comes in the shop regularly. 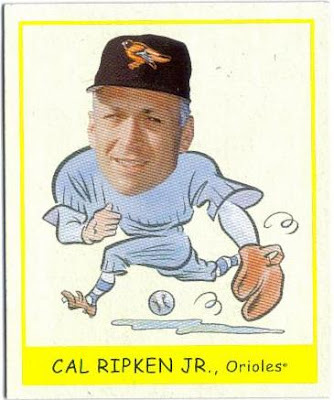 He brought in this Ripken as well as a few other cards. 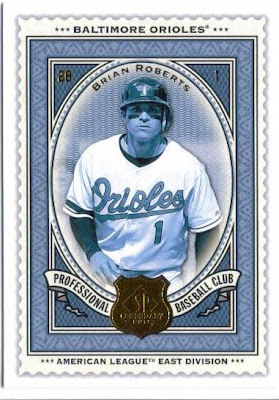 I was able to get an Upper Deck X Brian Roberts GU Jersey from Jeremy because Max traded a John Smoltz GU Jersey from SP Legendary Cuts to him for the card, then flipped it back to me. Thanks Max!!! Sorry, blog posting is getting a little cluttered, haha. 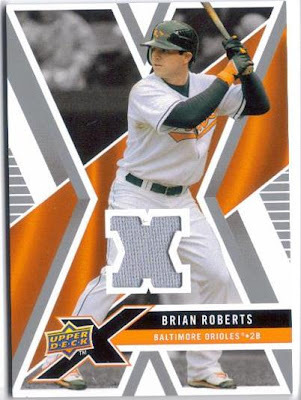 Finally, not to be left out, I received this card via mail from Mike at: http://jdswildcardz.blogspot.com/ this is a really nice Roberts, which I didn't have in my collection. Thanks Mike! All in all, this was a very good weekend. I'm lucky to be able to spend time with my friends and family and be able to have a few of them enjoy cards as much as I do. Ladies and gentleman, brought to my blog all the way from Canada... The letter L! I'm knocking the letters off my list! If anyone wants to get me a 4th of July present, there are a few more that I need! Haha. Got some SP Legendary Cuts I wanted. 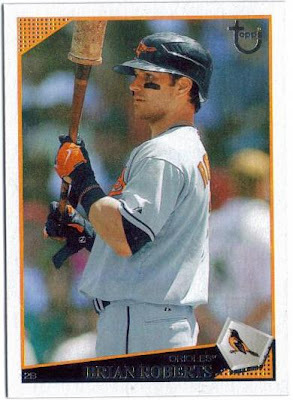 I got a pack of SP Legendary Cuts when I was cashing out at the shop last night, and Pete bought a few packs as well. 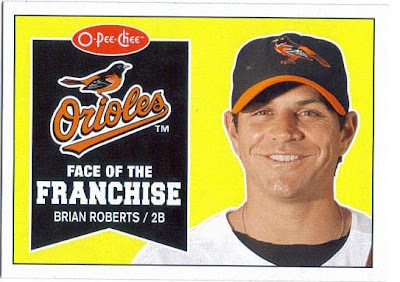 I ended up with Both Nick The Stick (Markakis) and Brian Roberts. 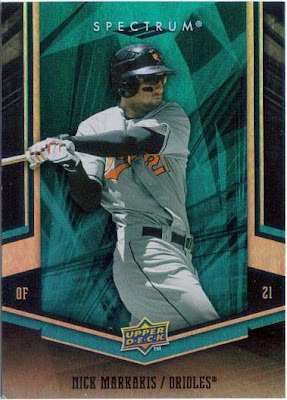 I am pretty much done with openingpacks of these right now because I got the two players I really wanted, but when their price comes down a bit, I may buy a box and attempt the set... 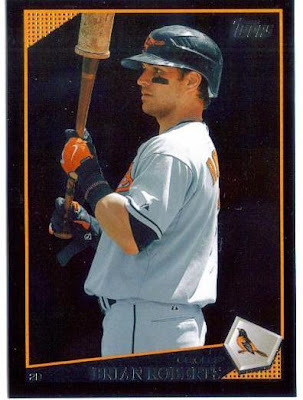 I may also open a few more packs and see if I can get Max the Russell Martin base card. We'll see. Thanks Pete (http://dropped3rdstrike.blogspot.com/) for knocking another letter off the list. The letter 'C'. This project is getting closer by the day, I think. 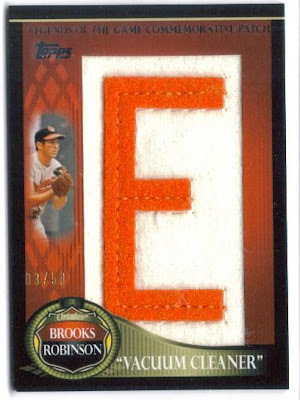 Pete at http://dropped3rdstrike.blogspot.com/ gave me an interesting idea; why not try to complete the 2009 Topps Legends of the Game Commemorative Patches of Brooks Robinson. Arranged properly, the letters spell out 'Vacuum Cleaner.' 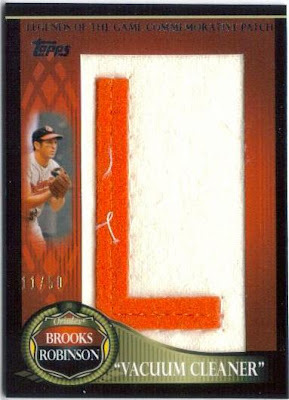 This is a reference to the 1970 World Series between the O's and Reds where, virtually any ball hit was caught by Brooks! 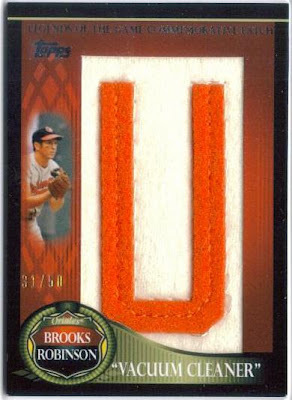 There is an awesome autographed photo at AAA Collectibles in Matthews depicting Brooks laid out in the infield dirt robbing Johnny Bench of a base hit. Sit down Johnny. If anyone wants to pony up $200 for my 29th birthday in September, and make that picture mine... well... I'd love you forever hahaha. 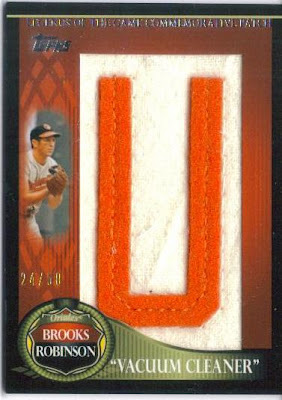 Anyway, to begin this interesting process, I purchased 3 of the Brooks patches off of Ebay, all for under $15 each. I have, so far: N, U, U. Pete has a C coming my way i believe. Lets get MOVING! 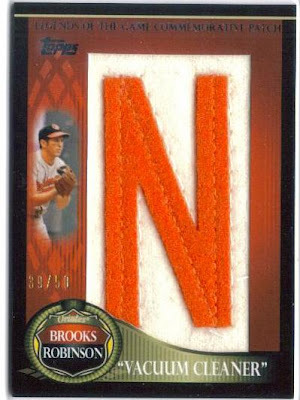 Go Brooks! Thanks for the idea Pete!! When I got into town today, I had 12 little envelopes waiting for me. AWESOME! Hooray Sportlots. Granted, several cards that were inside were for Max. Here are some of the cards I got for myself. I'll let Max blog about his, lol. 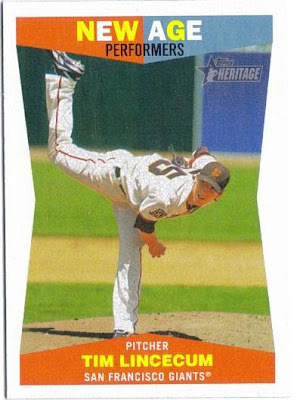 Got the Topps Target variation as well. 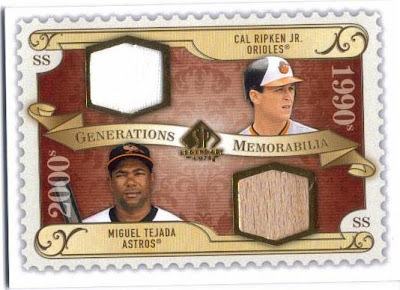 Am I the only one who misses the old school cardboard? Finally, I got the Wal Mart Black Variation. These are pretty cool. 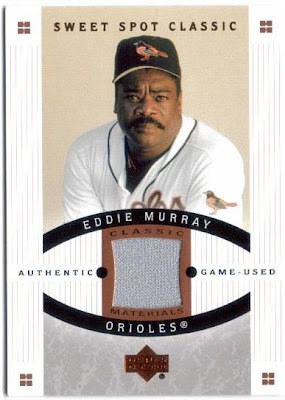 Similar to the Black Border parallel, but not metallic, and not serial numbered. Also, all but the player photo has been washed in black. Reminds me of a Pearl Jam song. 'All the pictures have been washed in Black, tattooed everything...' Ok, thats enough out of me, you know you're in trouble when I start singing. Nice little trade with my buddy Max. Had to buy it on ebay, but I got the Short Print that I wanted. 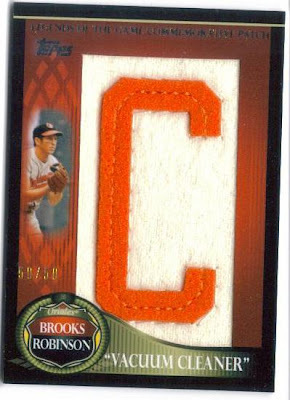 Brooks Robinson, BABY!! 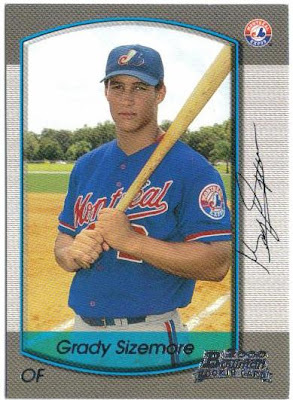 I wish they had used another picture, as this was on some of his older cards... 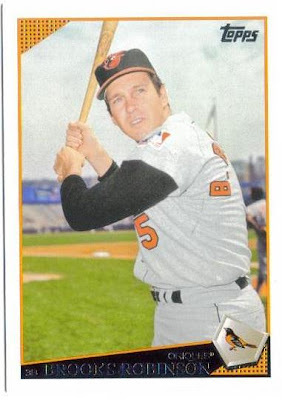 It would have been nice to have one of him robbing a Cincinnati Red during the 1970 World Series... Oh well. I still love it.